February is American Heart month, and as it comes to a close, I want to highlight the curious connection between heart disease and osteoporosis. It seems strange that the weakening of hard, rigid bones that occurs with osteoporosis could be associated with stiffening of the supple tissue of the arteries and heart that happens with cardiovascular disease. However, studies show that people with heart disease are more likely to fracture a bone due to osteoporosis and, oddly enough, postmenopausal women with osteoporosis are at an increased risk of cardiovascular disease. 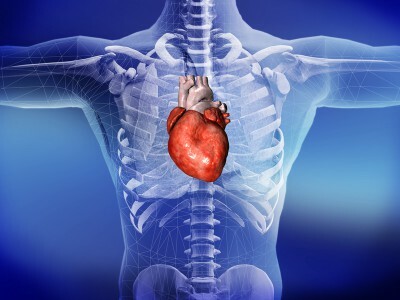 (1,2) Once viewed as being independent conditions, research showing a link between heart disease and osteoporosis suggest that the conditions may have similar causes. Osteoporosis and cardiovascular disease share many common conventional risk factors such as sedentary lifestyle, smoking, diabetes, hypertension, stress and aging. However the two conditions are further linked through menopause, inflammation, oxidative stress, and vitamin deficiencies. The decline of estrogen in women following menopause increases the risk of both osteoporosis and cardiovascular disease. For most of our life, estrogen aids in maintaining our bone density. However, with the onset of menopause, the drop in estrogen leads to bone breakdown and decreased calcium absorption. The incidence of heart attacks in women also increases dramatically after menopause, which can be attributed mainly to the lack of estrogen and its cardio-protective effects. Estrogen not only has a positive effect on the inner layer of artery walls, helping to keep blood vessels flexible, but also maintains healthy cholesterol levels. Vitamin deficiency. A significant risk factor in the development of cardiovascular disease is the calcification of heart valves, and blood vessels. Ironically, osteoporosis can occur with a loss of calcium from the bone. In both instances, vitamin deficiencies, could be an underlying factor. Vitamins D and K are critically important to the absorption and transportation of calcium in our system. Vitamin D helps you absorb calcium and vitamin K2 directs your body to deposit the calcium into your bones and teeth, and not in your arteries. 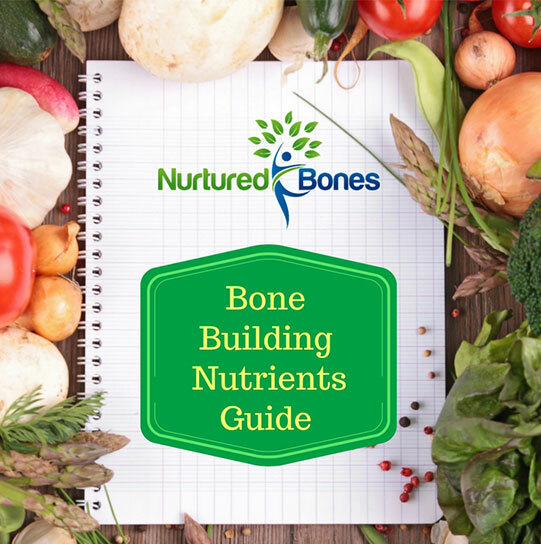 Insufficient vitamin K accelerates arterial calcification, while preventing calcium uptake into your bones. (5) Vitamin D also regulates blood pressure and cardiac function and appears to reduce inflammation as well. (6) Both these vitamins provide critical benefits to the bone as well as to the cardiovascular system. Your body is a complex organism in which every system and organ is interrelated. No disease or condition exits on its own. The changes you make to prevent osteoporosis, or any other disease, will benefit your health in every way. Call me to find out more on how taking care of your BONES will also help your HEART! Ishii S, Cauley JA, Greendale GA, et al. C-reactive protein, bone strength, and nine-year fracture risk: data from the Study of Women’s Health Across the Nation (SWAN). J Bone Miner Res. 2013;28(7):1688-1698. Barbour KE, Boudreau R, Danielson ME, et al. Inflammatory markers and the risk of hip fracture: the Women’s Health Initiative. J Bone Miner Res. 2012;27(5):1167-1176. Vitamin K intake and all-cause and cause specific mortality. (n.d.). Retrieved February 23, 2018, from https://www.bing.com/cr?